Turn the thermostats down on the water heater. 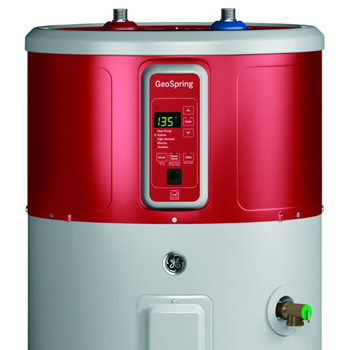 Often the hot water heater control is set too high in order to overcome heat losses from the tank and pipes. Usually the temperature dials on the inside of the tank are clearly visible. KUA recommends a setting of 120° or lower. Check your owner’s manual for your dishwasher before lowering to make sure this setting is feasible. Make sure the breaker is turned off before opening these panels. Why pay for hot water you don’t need? Repair costly hot water drips and leaks. It always pays to make inexpensive repairs on leaky hot water faucets, showerheads, and pipe joints. Delaying a repair is not a good idea, since most leaks gradually get worse. Many repairs, such as replacing a sink faucet washer, you can do yourself – inexpensively! Drain one gallon of water from the bottom of the water tank every few months to reduce mineral buildup. Tanks lose efficiency if sediment accumulates in the bottom and reduces the transfer of heat from the heating elements to the water. Periodically, open the drain valve near the bottom of the tank and draw off water until it runs clear and the sediment has been removed. Install or repair insulation on the hot water storage tank and distribution pipes. Adding an insulating jacket or “wrap” to the tank and installing tubular insulation on the pipes will reduce “stand-by” heat losses. Such equipment can be purchased at local hardware stores. Install water conserving showerheads and flow restrictors and aerators in sink faucets. Showerheads are now available that provide satisfying showers using only 2-3 gallons a minute, in contrast to the five or more gallons per minute used by older models. In addition, an aerator, which “spreads” the water, can also be installed on taps to lower the flow of water. This is a clock apparatus, which turns off your water heater after your major usage period and then on again prior to when you’ll again require large amounts of hot water. This will be very helpful if water usage is at the same time daily. Investigate solar hot water heating or waste heat recovery unit. For a larger family using a lot of hot water resulting in high heating bills, investing in these systems would eventually more than pay for themselves.